This is a beginner level card made using the Wonderful Romance stamp set. The Thick white card base is 4-1/4" x 11" scored at 5-1/2". The 4" x 5-1/4" Floral Romance vellum is attached to my card base using Glue dots strategically placed behind the flowers. You can also use strips of Multipurpose adhesive sheets. The image is stamped with Black Memento ink on 3" x 4-1/4" Whisper White card stock. 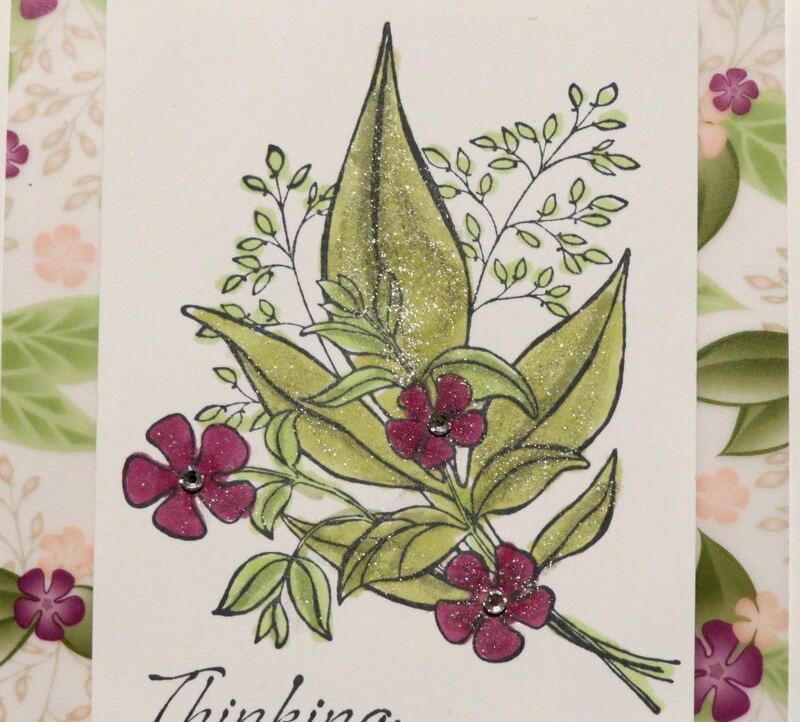 The Flowers are colored in with Stampin' Blends. I made a video showing how I made this card. If you would like to order the supplies for my card please click on a picture below. I can process Canadian orders ad would love to help you.